Located in the northern region of Williamson County in Georgetown, Texas, this 17,000 sq. 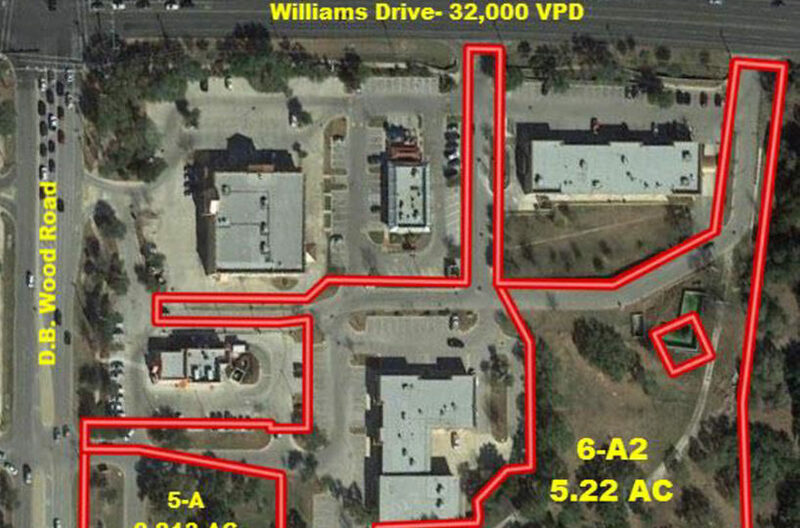 ft. shopping center is at the major intersection of Williams Drive & D.B. Wood Road, and has excellent ingress and egress with multiple points of entry from both thoroughfares. The property is shadow anchored by an H-E-B Supermarket across D.B. Wood Road; other area retailers include CVS Pharmacy, McDonald’s, and Whataburger.